The weather has cooled down and this weekend was really nice, even though we had some stiff breezes and a little rain. Autumn is one of my favorite times in Japan, perfect for walking around and checking out new places. 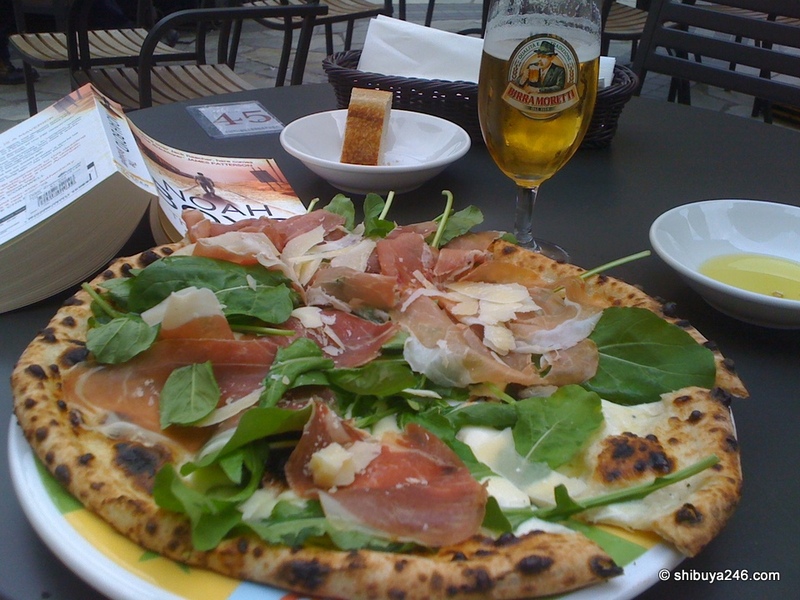 I took a walk around Ebisu and then upto Daikanyama and enjoyed a great pizza at Eataly. I tweeted this out offering anyone a bite, but didn’t have any takers. After seeing a lot of great shops and cafes from the outside I decided to go to a bookstore and discover some hidden gems. I picked up a few books and a magazine on cafes in this area. Looks like I’ll be back next weekend to follow up. I also got an introductory cooking book by Kurihara Harumi. My cooking skills are limited with a range from blueberry pancakes to carrot cake. Hopefully I can pick up a few tips from Harumi. The book includes a free cooking apron which was what attracted me to it. At least if I can’t cook, I will look good ! To round out the weekend, I also bought some CD’s. 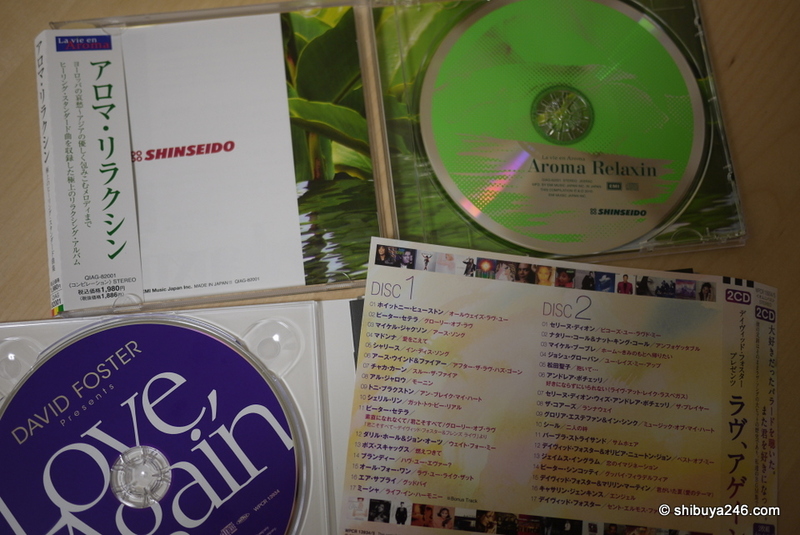 An aroma listening CD and a David Foster collection. The covers of those books really stand out for some reason- I love the cook book cover!! As I said to your FB post, I love the name of the restaurant! Nothing better than a lazy weekend reading and eating!! cooking is one of favorite things to do . . . is relaxing and the results are always satisfying – I do a lot of rice and udon dishes using pork and veggies – so if you knife skills are good then food is ready in about 15 minutes. Green onions, leeks, cok choy, mushrooms OMG my stomach is rumbling, time to eat. Being lazy for once is just right. You are profiting of that time to be a better coock, not just pachinkoing at the first parlor around the corner. This implies that we’ll see you barbecuing at the next neighbour event? Valentines Day – Men giving chocolate to ladies ? Burger King back in the Center-gai ! !